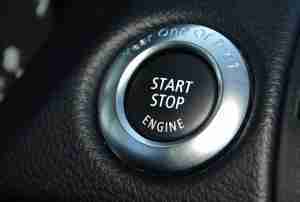 The suit, filed by 28 named complainants, alleges that BMW-Mini, Daimler, Toyota, Lexus, Volkswagen, Ford, Fiat Chrysler, GM, Honda, Acura, Nissan, Infiniti, Hyundai and Kia were knowledgeable and negligent in their design of keyless ignitions. Knowledgeable and negligent about what you might ask? Apparently, the 28 plantiffs (and more importantly their lawyers—more on that in a moment) think that everyone thinks or might think that keyless ignition means you don’t have to turn your car off when you get to your garage, your job, or wherever else you might drive. They also think that failure to maybe possibly not know that you have to turn the engine off could possibly end up causing injury or death. That sentence is intentionally vague. Now, let that logic sink in. Mights and possiblys and coulds abound. Let me say it in a more direct way: these people are suing all the car companies because someone could get hurt or die from carbon monoxide poisoning from not turning off their keyless ignition. One of my favorite parts of this suit is the allegation that the auto companies knew this was dangerous. No. I don’t believe that. Maybe the “malevolent” auto makers just counted on humans being smarter than the average piece of pocket lint and knowing that you still have to turn the car off. My second favorite part of the suit is that the attorneys for the plaintiffs are seeking to make this a class action suit and are suing for compensatory and punitive damages because this “defect” is dangerous but more importantly it causes their clients’ vehicles to lose value. Come! On! Eye roll. And Reuters is trying really hard to validate this suit. They really are. They stir in some tangentially related facts about carbon monoxide poisoning and mention the Takata recall to give the article and case legitimacy. They failed miserably. Get a grip folks. Asking for an auto shut off feature—which the lawsuit also asks for—is fine. That’s probably a good idea for those who don’t understand basic vehicle operations such as shutting off the car. Compensatory and punitive damages? No. Unless one of the 13 deaths in 12 years is related to one of the complainants, the judge should throw this case where it belongs. In the trash. The fact that a citizen went so far as to disable cameras and then post YouTube videos to empower citizens to take back their liberty should say a lot to government at all levels. The American people are really getting tired of their liberties being restricted and usurped. And in true American government fashion, the citizen was arrested and charged with four counts of criminal tampering. That should also tell us something. This whole thing makes me feel a little like it could be from V for Vendetta. Okay, maybe not quite so extreme, but you get my point. Take note, folks. Take note.